No one should ever drink and drive, but if you’re determined to do so, the least you can do is leave your children at home. This is a message that most parents should easily understand, but you’d be amazed at how many decide that getting charged with DWI is not a big deal with or without their kids along. One Santa Fe, New Mexico mother was just charged with DWI for a second time after she crashed her van. That’s bad enough, but she had a young child along with her too. Police arrived on the scene of a crash after someone reported a driver who drove into a parking lot barrier at a MacDonald’s restaurant. When they arrived they found a woman in her underwear lying across the seats and there was blood splattered everywhere. The van windows were rolled down and it was below freezing, and an open container of alcohol lay on the floor. There was also a child strapped into a car seat in the back. That paints a pretty grisly image, so it’s hard to understand why this offender wasn’t happy for the help when police showed up. When paramedics cleaned her up she yelled at police officers, and they had to obtain a warrant to do a blood draw. She was arrested, charged with DWI, and also received a third-degree felony count of child abuse. Her child has been placed with relatives, and she’s going to face the consequences of her second DWI arrest. In New Mexico that means stiff penalties. She could spend up to one year in jail, pay up to $1,000 in fines, and attend an alcohol evaluation. She’ll also lose her driver’s license for two years, and she’ll be required to drive with an ignition interlock for two years. The penalties for her DWI in New Mexico might be hard for her to deal with, but what’s much harder to process is that she put a child in grave danger. 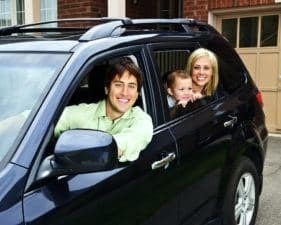 It’s a good lesson for any parent who has wondered whether or not to drink and drive the kids home. 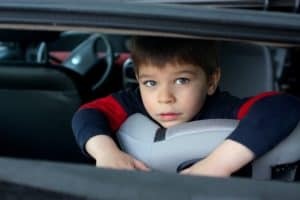 Putting your child in the car with you after you’ve been drinking is never a good idea. New Mexico implied consent laws, like other state implied consent laws, are usually pretty clear: if police suspect you of drinking and driving, they have the right to ask you to submit to a breathalyzer. 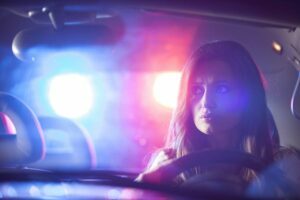 But a recent Albuquerque, New Mexico case has changed the way New Mexico implied consent laws can be used, and they had to go all the way to the state Supreme Court to do it. According to New Mexico implied consent law, the police have the power to force you to take a breathalyzer test. If you refuse, they can charge you for that refusal or ask you to submit to a chemical test. When one woman arrived at a DWI checkpoint in 2011, she did submit to two breathalyzer tests. Her score on both tests was 0.04. The arresting officer suspected she was high on drugs, so he asked her to submit to a blood test too. She refused the blood draw, and the officer charged her with both DWI and refusal to submit. When she went to court she appealed the refusal to submit charge. While she was waiting, the U.S. Supreme Court made a ruling that was relevant to her case. The ruling stated that anyone arrested for DWI can be punished for refusing to submit to a breath test, but they can’t be punished for refusing to submit to a blood test unless the police officer has a warrant or the driver has injured or killed someone. Because there was no warrant on record and the offender hasn’t injured someone, the New Mexico Court of Appeals overturned her charge. That’s when the state prosecutors appealed to the Supreme Court, but that didn’t change the outcome: the Supreme Court agreed with the court of appeals. 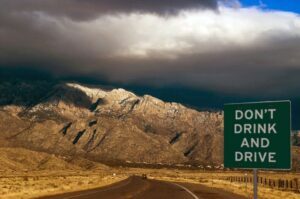 New Mexico implied consent law is there to protect drivers in the state, and it still stands despite the Supreme Court ruling about requesting blood work. There’s one easy way to avoid the worry of whether or not you’d submit to a breathalyzer test, and that’s to always drive sober. As more and more states pass all offender ignition interlock laws, one major issue remains: although these life saving devices are now mandatory, it’s difficult to enforce ignition interlock compliance. If someone is required to install and use an ignition interlock and use if, but they don’t bother to follow through, what’s the worst that can happen? If a Santa Fe, New Mexico case is any indication, the answer is that they will re-offend over and over again. She was on the side of the road near a park after crashing into someone’s yard, and when an officer came upon the woman he found open alcohol in her vehicle. When asked if she’d been drinking she admitted that she had, and she submitted to two breathalyzer tests that showed she had a blood alcohol concentration (BAC) of 0.25 and .027. The fact that she was driving at double the legal limit was one major issue; the other was that she already had at four DWI convictions on her record. Those four were the most recent DWIs, and the officer found she had at least three more over the past 20 years. Incredibly this offender is only 39 years old, has already been to prison for drunk driving, and was required to only drive a vehicle with an ignition interlock. Because this is her seventh DWI she’s now charge with a fourth-degree felony and she will spend up to three years in jail. Had this offender followed through with her ignition interlock installation in New Mexico, she wouldn’t have been able to drive drunk. And if she couldn’t drive drunk, she wouldn’t have been arrested over and over again. How can a state determined to stop drunk drivers deal with ignition interlock compliance? Among ideas considered have been following up via court room visits or requiring ignition interlock checks as part of probation visits. New York does the latter. This offender is fortunate that, in all the times she drove drunk, she didn’t kill someone. But maybe it’s time she followed through on her ignition interlock just the same. Since New Mexico passed its ignition interlock law they’ve seen a significant decrease in drunk driving deaths overall. But alcohol-related crashes still happen. One drunk driving crash in Albuquerque has prompted a man to create an Uber program to save lives. It was two years ago when three people, Grace Sinfield and brothers Roberto Mendez and Sergio Mendez-Aguire, were struck and killed by a drunk driver. Instead of becoming overwhelmed by the grief, a friend of the brothers decided to channel that pain into a program he called the Mendez Uber Program. He decided to partner up his workplace, ABQ Live The Magazine, and with the SandBar Brewery and Grill to create the program. It’s designed to give patrons a free ride home via Uber after they’ve been drinking. If you are a group of three or more people heading to the SandBar for a night out, you’ll need to use Uber to get there. When you arrive you show your server your Uber receipt and when it’s time to leave, the server will enter a promo code on your phone to give you a $15 Uber coupon. That coupon is usually enough to get most people home, and it’s a great incentive for patrons who want to avoid the possibility of driving drunk. In New Mexico, just like in all states, the goal is to continually decrease drunk driving deaths until they’re a thing of the past. Along with ignition interlock devices to stop convicted drunk drivers from driving their vehicles, ride sharing is one of the best ways to keep drunk drivers off the roads. If this ride sharing program is seeing success at only one bar, imagine how many lives it could save if it became a part of every nightclub and every pub’s responsible serving program. Preventing more alcohol-related deaths in this way is the best way anyone can honor the memory of someone lost to drunk driving. Should The Lookback Period Be Removed From New Mexico DWI Laws? Time really flies when you’re saving lives, and it’s been 12 years since New Mexico passed the first ignition interlock law in the United States. Since that time the state has cracked down hard on drunk drivers, and other states in the country have followed suit by passing their own ignition interlock laws. Every state now has some type of interlock law on the books, and there are now 30 states who have passed all offender ignition interlock laws. Give New Mexico’s history of keeping drunk driving offenders off the roads, why is a District Attorney asking for harsher DWI laws in the state? It turns out that one drunk driving offender got off fairly easily after he caused a crash, but it was the lookback period that prevented him from being properly prosecuted. The man, Christopher Garcia, was driving under the influence of drugs including cocaine, opiates, and amphetamine when he crashed. The victim in the crash was severely injured, and because it was Garcia’s third DWI charge, the goal of the prosecutor was to have him sentenced to significant jail time. When he appeared in court he was sentenced to three years in prison, but the Judicial District Attorney on the case felt that it was far too light considering what he’d done, the injury he had caused, and the fact that he had two prior DWIs on his record. Unfortunately, because the offender’s previous two convictions were more than 10 years old, they didn’t count toward his new conviction. That 10 year period, also known washout, is the set amount of time that any previous DWI or DUI can be held against you in a court of law. Once the 10-year period has passed, they are no longer relevant to other charges, and because of that three years in prison is all this offender could receive. He’ll also spend two years on probation when his jail time is up. Lookbacks are part of most state’s DWI laws, and if they become a significant problem for prosecutors, lawmakers have the option to extend them or eliminate them altogether. That’s what may be up next for New Mexico, and if so, that change could prevent another offender like this one from getting off light. Imagine you’re arrested for drunk driving in New Mexico. You head to court with a lawyer in tow and given your evidence, you have your case dismissed. That should be the end of your driving while intoxicated (DWI) nightmare, right? In some cases, you’d be wrong, and that’s one of the unique things that can happen when you’re charged for drunk driving in New Mexico. At least that’s what one man found out when he went to court, had his DWI case thrown out, and was required to install an ignition interlock anyway. Yes, you can still be required to install an ignition interlock, even if you’re not convicted of drunk driving in New Mexico. That’s because New Mexico has what’s known as a two-track system: the Motor Vehicle Division (MVD) and the courts are separate and both have authority to revoke your driver’s license. In this man’s case, the court didn’t revoke his license or require him to install an ignition interlock, but the New Mexico MVD. According to New Mexico drunk driving laws, the MVD is notified by the police after your arrest. When that happens, they revoke your driver’s license for up to one year. This is separate from the court system, and it’s because New Mexico has an Implied Consent Law. 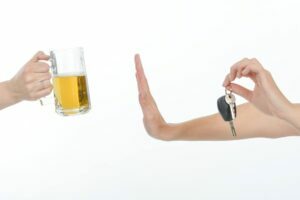 Implied Consent means if you applied for and accepted a driver’s license in New Mexico, you agree to not drink and drive. If you do, they can revoke that license for one year or longer, and they can require you to install an ignition interlock device, even if the court doesn’t. This man learned the hard way that even if you win, when you drink and drive, you can still lose. At least New Mexico roads will be safer thanks to this two-track system.